He wanted to propose at South Pointe Park in the afternoon before attending a concert later that evening. Him being from Australia and her from the US, they met each other while traveling and took an immediate liking to each other. A few years later and here they were in Miami Beach traveling once again, except now he was going to ask her to marry him. I followed them as they walked along the pathway that leads to the beach. He led her onto the rocky pier and got down on one knee. She said yes!! 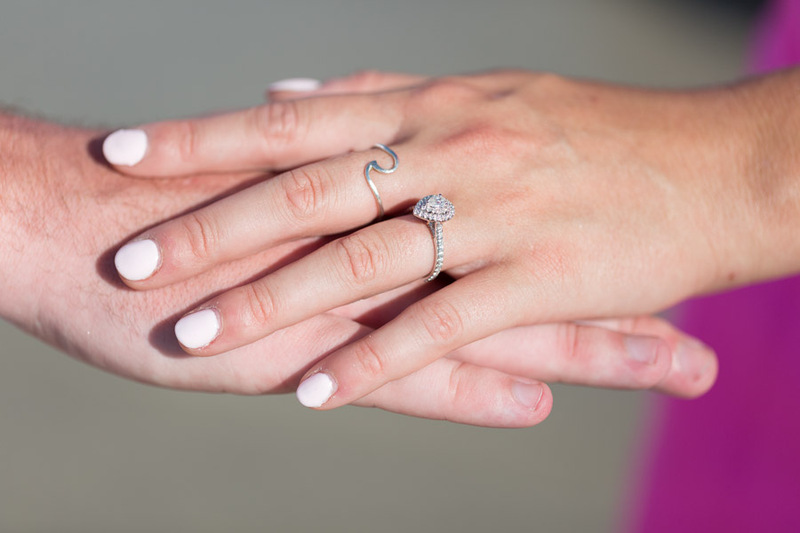 I love her reactions, her hand placed over her mouth in shock as she repeatedly hugged and kissed him and joyously looked at the newness of the engagement ring that now adorned her finger. Get a Ring Stash. Concerned that she’ll notice the large box bulging in your pocket? At one of the surprise proposals that I photographed, one of the guys mentioned that he used something called a Ring Stash. It’s basically a much thinner ring box that is easy to keep discreet. Schedule the proposal during daylight hours. Nighttime makes it very difficult to capture the moment (not exactly the best time to be using a flash in someone’s face!). Anytime between sunrise-sunset works well to achieve high quality photos. You can propose before dinner, after watching the sunrise on the beach, etc. Have her dress up or down for the occasion, depending on her style. Is she going to want to be wearing make-up and be dressed up for the photos? Or is she ok with being dressed casual? You can always create an excuse to have her get dressed up (i.e. going to dinner after going for a walk by the beach) but remember you’ll probably both be barefoot if you go onto the beach. This South Pointe Pier Proposal Miami Beach Photographer took place before sunset in South Beach, Florida. 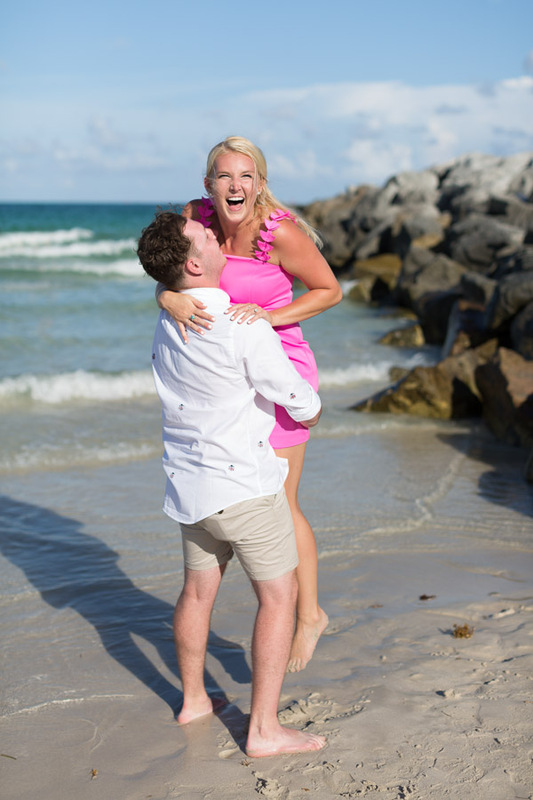 See all of the Miami surprise proposals on the blog. You can also take a look at other couples photo shoots and engagement sessions in Miami. 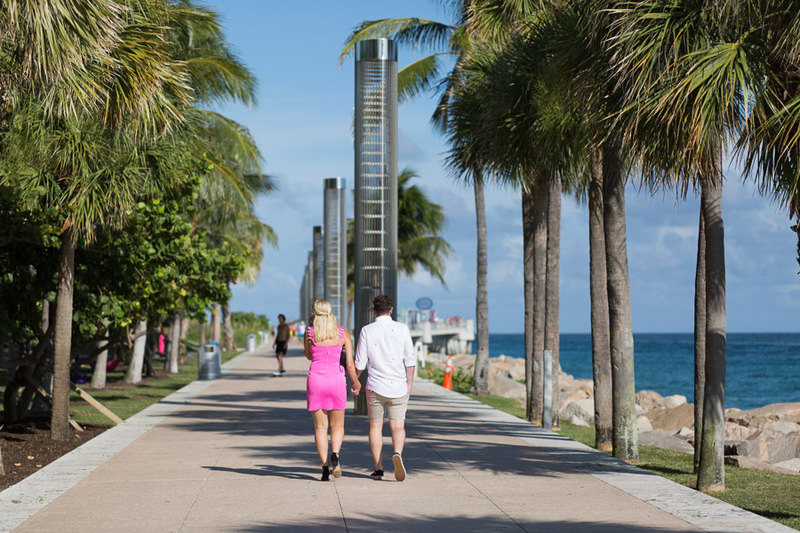 You can check out all of the photo shoots at South Pointe Park. Contact me here or email info@tovaphotography.com to book a session. 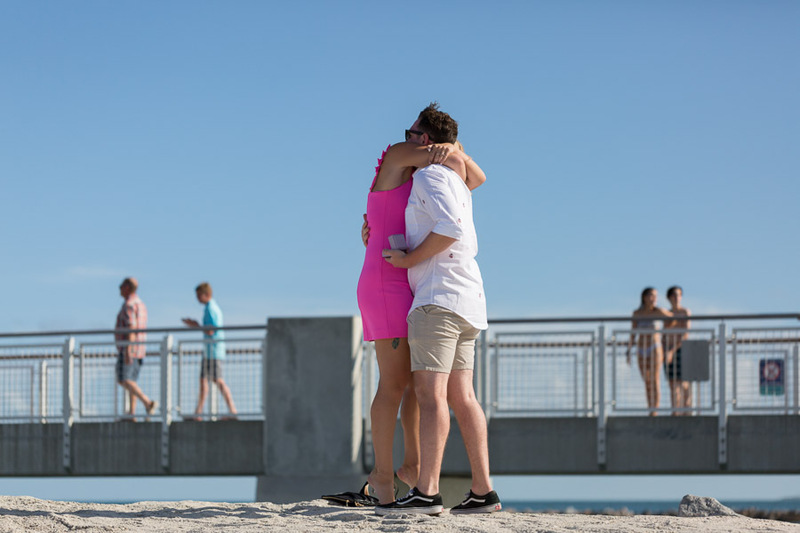 This entry was posted in Surprise Proposals and tagged Couples, miami beachs, miami proposal photographer, proposal, south beach, South Pointe Park, surprise proposal on November 19, 2018 by Tova Photography.